Digital LED Signage has brought about a revolution in advertising. Not only is it visually appealing, bright and clear, but it is also easy to use and one can change the content in minutes. Why use traditional billboard advertising when you can enter into the digital revolution and create a full visual promotion for your company? For the retail industry Voxson has developed a system that allows a single broadcast message or video to be transmitted to hundreds of screens throughout the country or overseas. 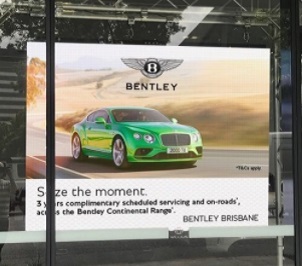 We are able to tailor and customize outdoor displays and billboards to suit your specific needs and requirements. Voxson can supply you with customized LED Displays based on cabinet sizes of 640mm x 640mm or 960mm x 960mm, fitted together in a grid configuration in order to meet your desired size requirements. Click Here to find out more information about our Outdoor LED Signage. Voxson’s indoor LED signs and advertising displays are a low-cost, high-impact way to market your product and your business. Voxson’s offering is wide and we offer a full line of LED signs and LED displays, from indoor showroom displays to in-window LED signs, both with a wide range of pixel densities. 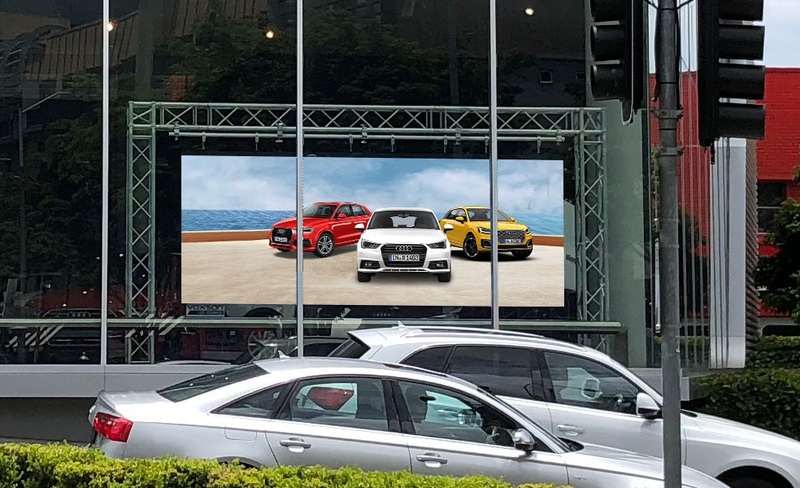 Voxson’s indoor LED displays are available at 1200 nits brightness for showroom displays or at 5000 nits brightness to be used in windows that face the road and allow for quality viewing in sunlight. Click Here to find out more information about our Indoor LED Signage. 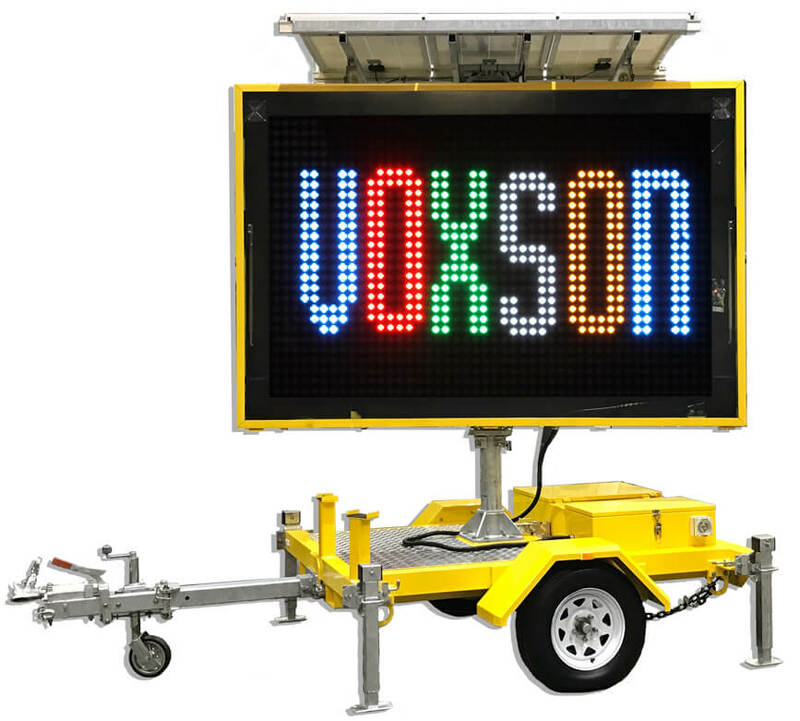 Voxson designs and manufactures three robust versions of mobile LED Signs: The V2, V3 and V5. 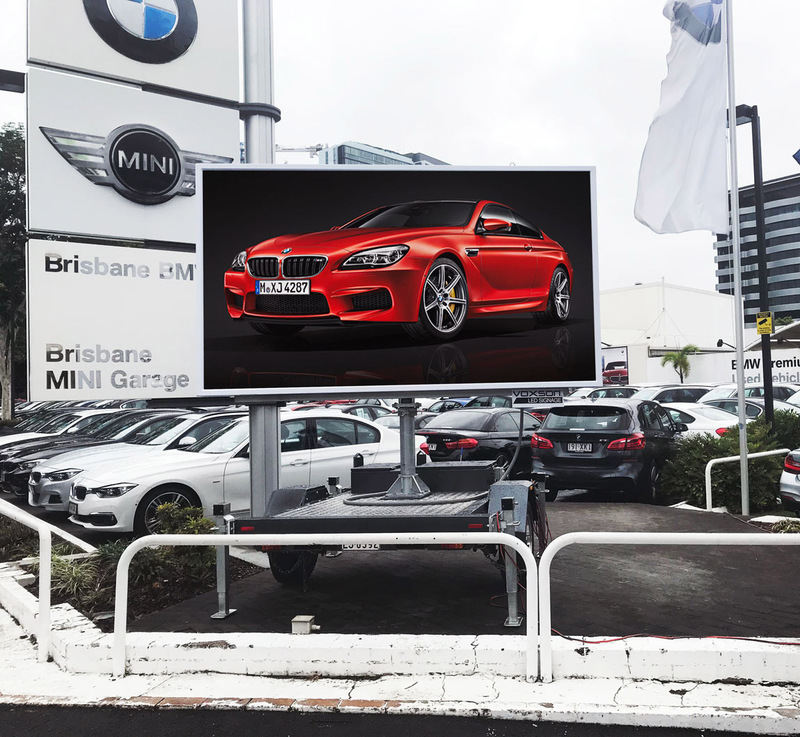 Voxson has designed its mobile LED signs in Australia with the rental industry in mind, to be used by companies that require both reliable and robust equipment. 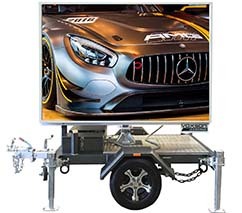 Both the trailer and the screen are built from heavy duty Australian aluminium so as to avoid rusting and are designed to last for many years. Voxson’s mobile LED signs are strong and robust products and are able to withstand Australia’s tough outdoor conditions. 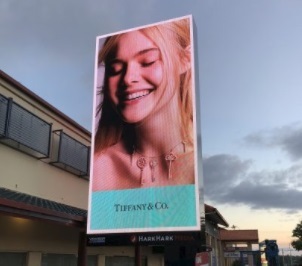 Click Here to find out more information about the V2 Mobile LED Signs at 2400mm wide x 1600mm high with Pixel Pitch 10mm. 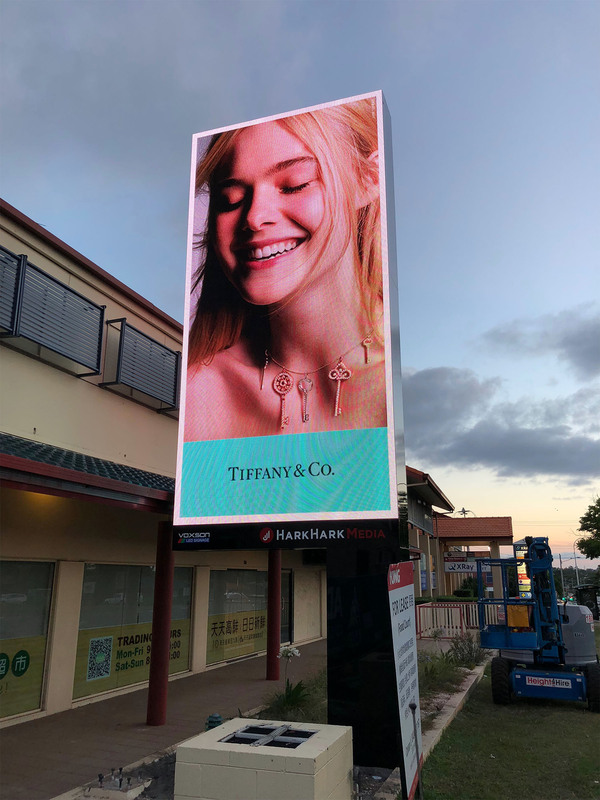 Click Here to find out more information about the V3 Mobile LED Signs at 2560mm wide x 1600mm high with Pixel Pitch 6.67mm. 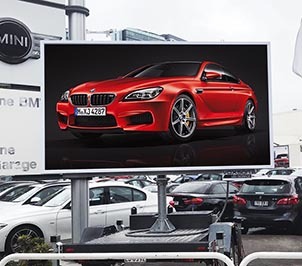 Click Here to find out more information about the V5 Mobile LED Signs at 4480mm wide x 2560mm high or 3480mm wide x 2560mm high with Pixel Pitch 4.4mm/6.67mm/10mm. 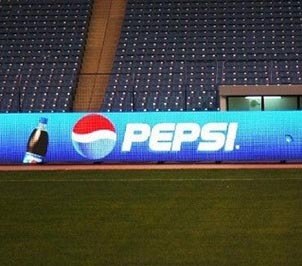 Voxson’s Sports Perimeter LED displays are perfect for advertising applications at sporting events. 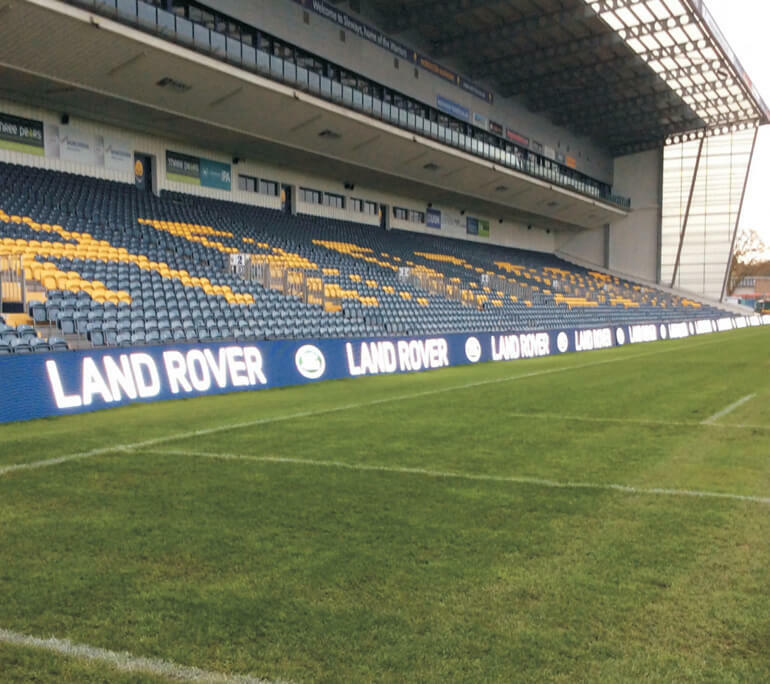 Suitable for both indoor and outdoor venues, these screens are ideal for side of field and court use. Voxson’s Sports Perimeter LED displays are a modular design allowing for simple assembly and flexibility in sizing. The screen also features a rubberised mask around the individual LEDs which can protect both the LEDs as well as players who may inadvertently collide with the screen. High refresh rate ensures that the images displayed on screen are accurately captured on camera at televised events. Click Here to find out more information about our Sports Perimeter LED Displays. 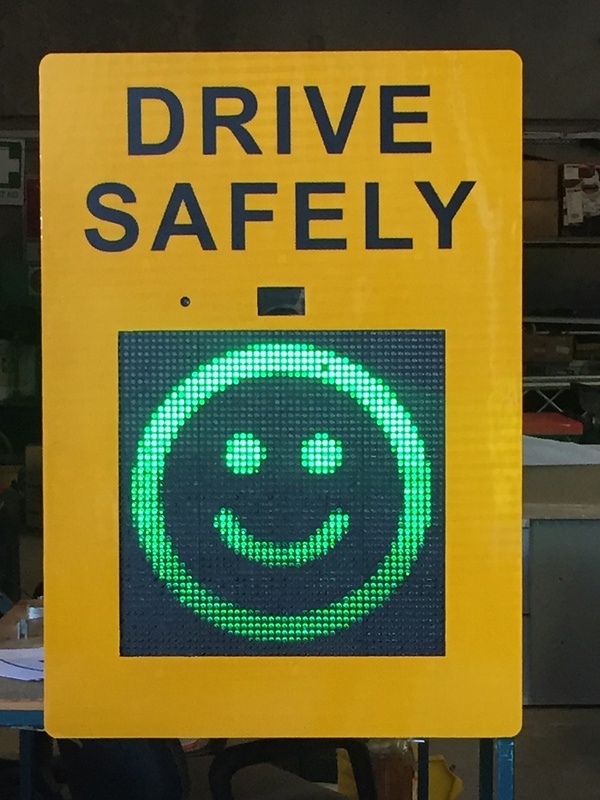 Voxson has designed its Variable Message Signs in Australia with the rental industry in mind, to be used by companies that require both reliable and robust equipment. Both the trailer and the screen are built from heavy duty Australian aluminium to avoid rusting and are designed to last for many years. Click Here to find out more information about our 5 Colour LED VMS Signs. The Radar Traffic LED Sign has the proven ability to influence driver behaviour, reduce speeding and draw attention to local limits. Voxson’s range of Radar Traffic LED Signs include models offering standard speed indication devices, as well as models offering the more sophisticated data collection systems and dual display options. When used by experienced operators the Voxson traffic counter can also provide valuable, flexible data collection for traffic management applications. This is an industrial-grade product manufactured to last for many years. Voxson’s Radar Traffic LED Signs have been specifically designed to offer a range of radar speed indication and road traffic monitoring features, which can be used by the police, local councils and private companies. Click Here to find out more information about our Radar Traffic LED Signs. Click Here to find out more information about our Variable Speed Limit Signs. 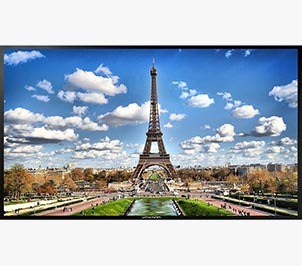 The Voxson Commercial Display Range feature ultra-thin bezel design to deliver maximum visual impact for all Digital Signage and Conference Collaboration Applications. 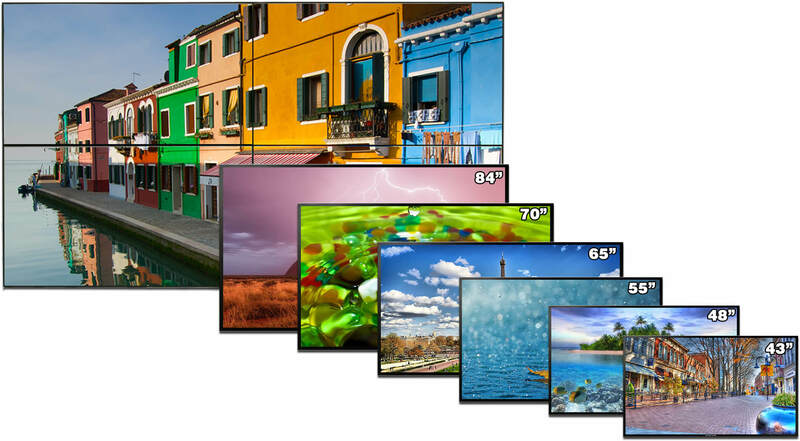 With energy-saving LED Technology that enables 24 hour operation and Auto Standby for Image Burn Protection, these displays offer premium, reliable performance to meet all your commercial application demands. Click Here to find out more information about our Voxson LCD Commercial Displays. 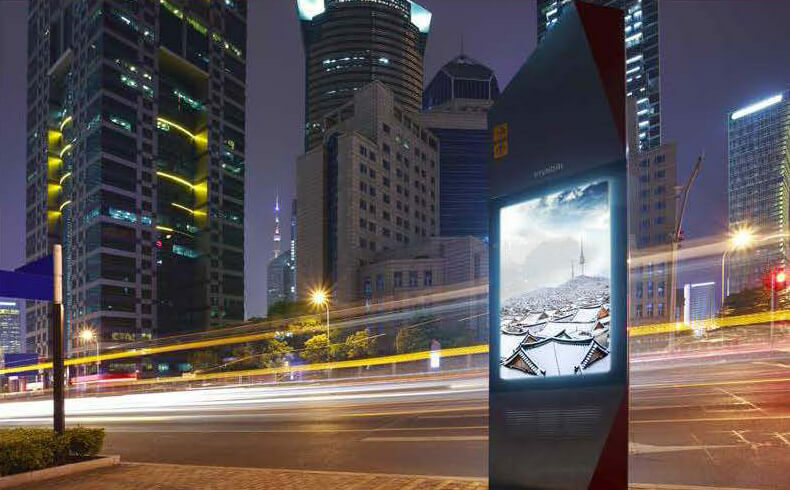 Voxson’s outdoor media kiosk represents state-of-the-art display technology for any outdoor environment. Even bright sunlight, rain storms and snow can’t stop Voxson’s outdoor digital media kiosks from displaying message and images with full functionality. By meeting highest industrial standards, they provide a high degree of operational reliability and superior image quality. 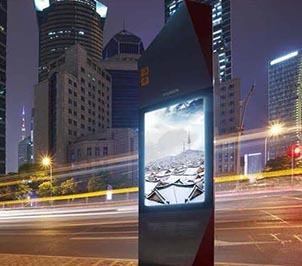 Click Here to find out more information about our Outdoor Digital Media Kiosks. Please select the grade of product.